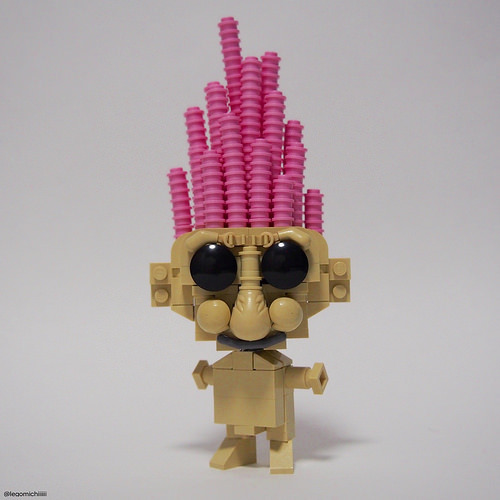 Despite how well this creation by Takamichi Irie captures the essence of the ubiquitous and inexplicably enduring troll dolls, you might be inclined to dismiss it as just another nostalgia build. But hold onto your hats because, in a comeback that will probably put the Smurfs to shame, toshe loveably ugly “Gonks” are returning in 2016 with their very own animated movie! So get ready to see a lot, lot more of these frizzy haired critters on shelves later this year.